I could really use a little sun and sand in my life right about now. I don’t think I will ever get used to the gray rainy days around here. 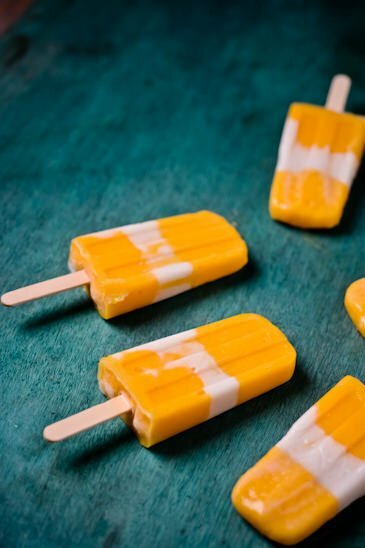 Since it looks like it will be awhile before I see a beach I decided to settle for a little summer inspired popsicle instead. 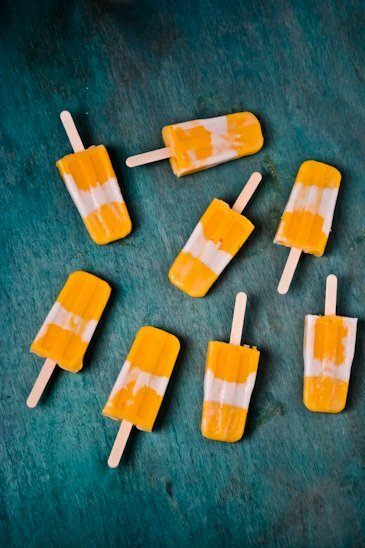 Creamy coconut milk, honey, mango and fresh lime make a simple, quick and guiltless treat. In a small bowl combine the coconut milk, ginger, cardamom and 2 tablespoons of honey, stir the mixture well until well combined. Using a blender or food processor, puree the mango, lime juice, remaining tablespoon of honey until smooth. Add 1/2 cup of the coconut milk mixture to the mango mixture and stir well. 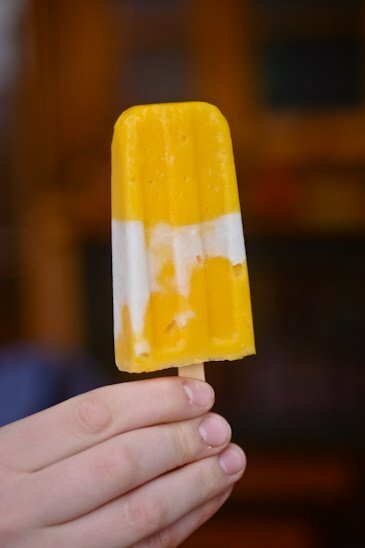 Fill your popsicle molds with a tablespoon of the mango mixture and then freeze for 20 minutes. Remove the pops from the freezer and pour 2 tablespoons of the coconut milk mixture into the molds. Return to the freezer for another 20 minutes. 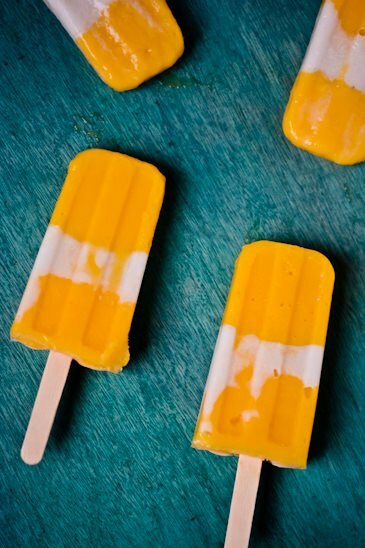 Fill the remainder of the molds with the mango mixture, insert popsicle sticks and return the molds to the freezer until firm 5-6 hours. To serve place the molds in hot water for 30 seconds and gently loosen to remove. These look delicious. Will be making these for my little boy.